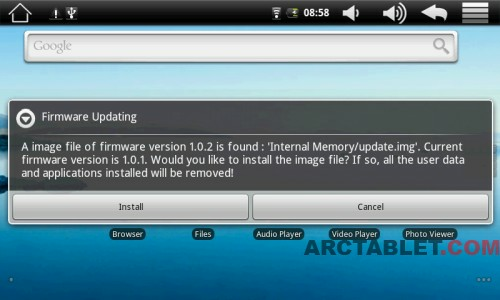 This custom firmware updates your your Archos 7 HT v2 tablet to Android 2.2 (Froyo). 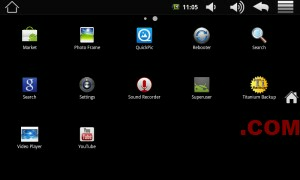 We did test this firmware for a while and it did not reveal any loss of functionnality over offical Android 2.1 firmware from Archos. 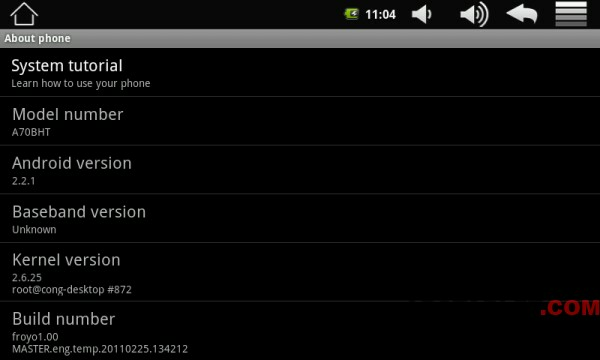 Moreover, it is pretty stable and feels faster than the vendor’s default firmware (Android 2.1 – Eclair). – You may get the following message in Android Market / Google Play: “No matching content in Android Market“, or there may be just very few application listed in the Market. 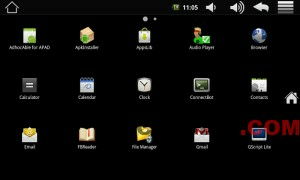 To correct that problem, you may want to apply Android Market fix to make sure all applications are visible. Disclaimer: You apply this firmware on your own risk. For me these ROMs are stable. That doesn’t guarantee that it works for you. This firmware is only for the A7HT Version 2! Note: On first boot: As applications can only be installed when the gui is running, the installation of the non-system apps begins and still continues when the gui is already visible. After about 1 minute after gui “appearance” all apps are available in the application grid. This only on the first boot. = Standard USB connection to Mac OS X/Linux/Windows. 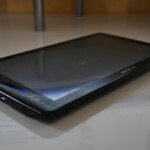 After connecting the tablet to the pc, touch and drag the menu bar down. Select “USB connection”. (This is the default way on Froyo and later). Go into settings -> Wireless and networks ->WiFi Settings. Press the menu button again and select the option “Advanced”. Here you can set the WiFi sleep policy. * Install one of the wifi on/off widgets from the market. = Switching between full screen and normal screen. 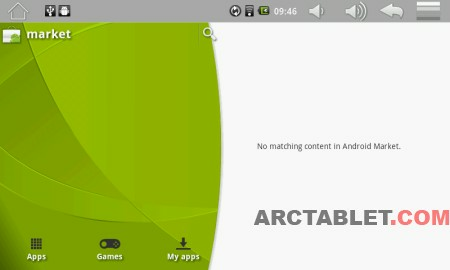 The android.policy.jar has been patched to enable this. You need to download Birdiebnl’s ROMSetttings.apk to use it. This should never happen when applying these roms, but in case it does happen: read this wiki article (for windows) and this article (Mac OS X/Linux/BSD) on how to unbrick your tablet. You can also check the full release history for hvdwolf custom firmware on Archosfans.com forum. 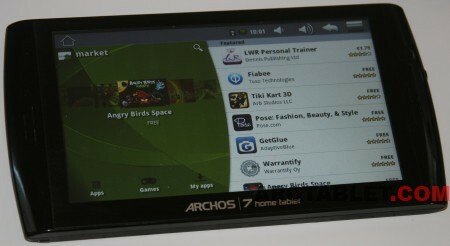 We also recommend that you check this other great Archos 7 HTv2 custom firmware by BirdieBNL and our other Archos 7 HTv2 news. 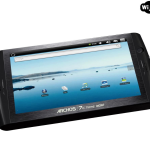 Unfortunately this is probably the last Archos 7HTv2 firmware release from hvdwolf as his Archos 7 HTv2 touchscreen passed away and his tablet is not usuable anymore. 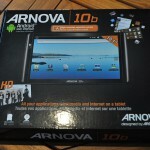 We wish to thank him for all the great work and support he has done to Archos 7 HT users and community.